Mr. René G. Santiago is Deputy County Executive for the County of Santa Clara and Director for the Santa Clara Valley Health and Hospital System. His primary responsibilities are to protect and promote the health of the population of all residents in the County, managing the nearly $3 billion budget of the State’s second largest public healthcare system, and leading the transformation of the public healthcare safety net system. The Santa Clara Valley Health and Hospital System employs over 7,800 professional, technical and support staff serving close to 2 million residents in the County of Santa Clara. It is the largest public agency in local county government, providing a full and comprehensive range of direct services and programs for over 300,000 adults and children through six major departments. The Valley Medical Center network is composed of a Level I Adult Trauma Center and Level II Pediatric Trauma Center, a network of eleven (11) comprehensive health centers, and an extensive network of community partnerships with federally-qualified health centers and community clinics. The Valley Health Plan is a federally-qualified health plan responsible for 180,000 covered lives with multiple products for Medi-Cal, commercial, and public sector employees. The Behavioral Health Department includes emergency psychiatric services, systems of care for over 40,000 children, adults, and seniors suffering from mental illness and/or substance abuse, and an extensive array of partnerships providing prevention, early intervention, treatment, and recovery services. The Public Health Department is the local health department keeping the community safe and healthy by responding to public health emergencies, investigating disease outbreaks, preventing the spread of disease, and collaborating to promote the health of the population in one of the State’s healthiest counties in California. Additionally, he oversees the operations for the local Emergency Medical Services Agency and the Custody Health and Behavioral Health Department. Prior to his experience in Santa Clara County, Mr. Santiago worked for nearly ten years as General Manager at the County of San Diego for the Health and Human Services Agency. During the 1990’s, he began his full-time public service at the Los Angeles County Department of Health Services in charge of the five-year, $1.2 billion federal 1115 Waiver. He also served as a Commissioner to the County’s Regional Planning Commission and the City’s Affordable Housing Commission in Los Angeles. 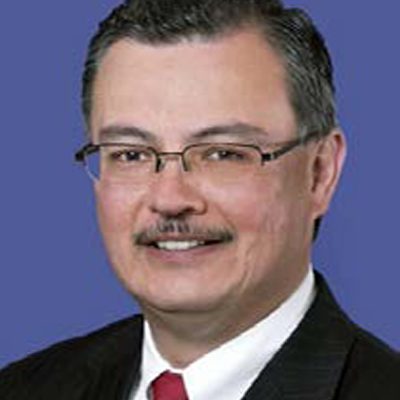 Additionally, Mr. Santiago is currently Chair of the California Association of Public Health and Hospital Systems, an association representing all federally-recognized 21 public hospitals across California, including the University of California and Los Angeles County, directly advocating for national health reform and support for universal coverage. He attended and graduated from the University of California, Berkeley with a joint Masters’ in Public Health and Urban Planning.